The Essential Services Commission of South Australia (ESCOSA) has just announced the removal of mandatory minimum electricity retailer solar feed in tariff rates. From the first of January next year, each electricity retailer will determine the amount and structures it will pay to its solar customers for surplus electricity they export to the mains grid. “This decision reflects the Commission’s view that the practice of setting a minimum price for the R-FiT no longer serves the best interests of consumers, who may be missing out on more beneficial arrangements: better total packages, time-of-use feed-in pricing arrangements or other innovations,” says part of an ESCOSA statement. ESCOSA’s final decision can be viewed in full here (PDF). Solar Citizens has strongly objected to change. “Axing the regulated minimum price is an experiment on SA’s solar owners in an unregulated market where big power companies have disproportionate bargaining power – it’s an experiment that is destined to fail,” said National Director, Claire O’Rourke. 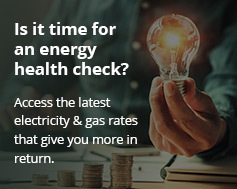 Solar Citizens says what is needed across Australia is a “real, fair dinkum price” for electricity generated by solar power systems that recognises all of the benefits it provides. While it remains to be seen how this change will pan out and solar will remain a solid investment regardless, the decision will no doubt trigger more interest from South Australian solar owners in battery systems. The major attraction of energy storage is that it enables greater self-consumption of solar panel generated electricity; which is particularly valuable during peak rate periods. The popularity of home energy storage has been increasing across Australia due to the plummeting cost of storage solutions including sonnen battery systems, the Enphase AC Battery and new products such as Tesla Powerwall 2.